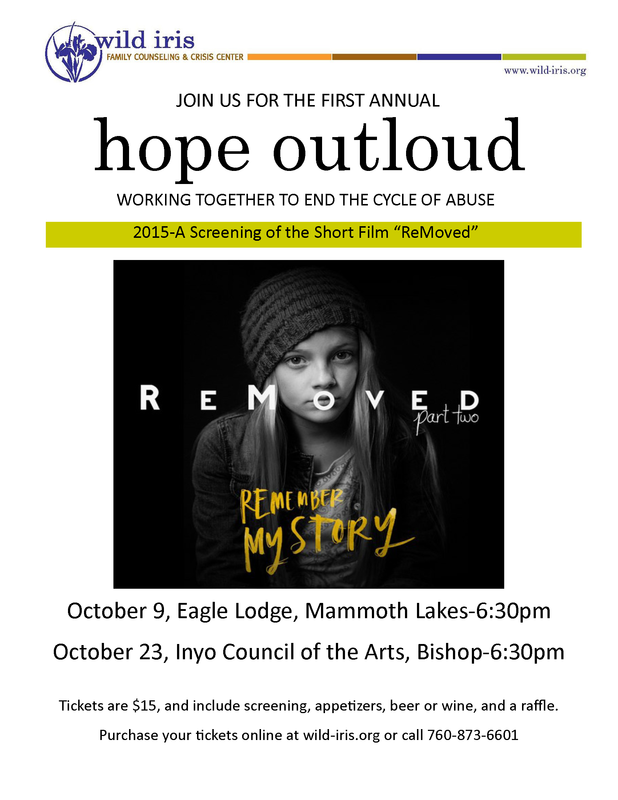 Mammoth Lakes Women's Club - What's New?! 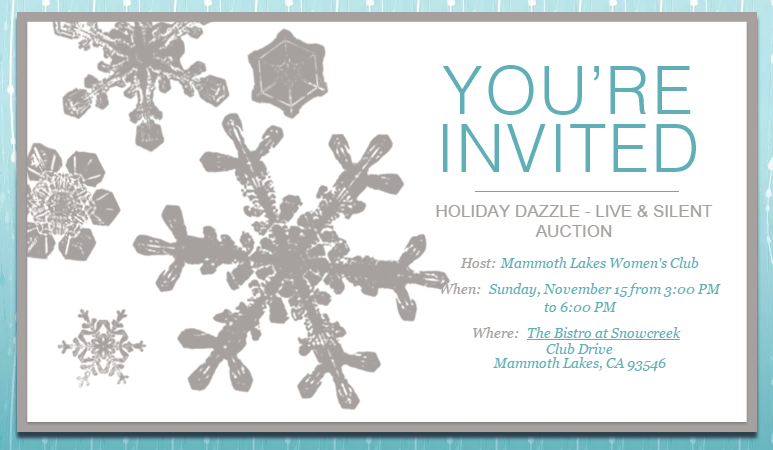 Join us on November 16 for a festive fundraiser, benefitting the Mammoth Lakes Women's Club, which supports local programs and people. 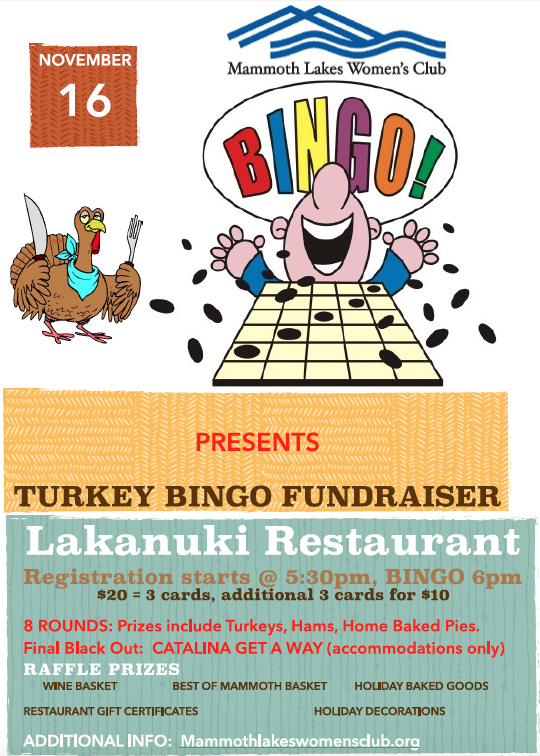 There will be bingo, fun prizes, and lots of laughs! The 2015 Holiday Dazzle with be THIS SUNDAY 11/15 from 3:00 - 6:00 PM at The Bistro in the Snowcreek Athletic Club. Admission is FREE and the live auction starts at 4:30 PM. Don't miss this awesome event and get a head start on your holiday shopping! All for a great cause! 25- and 30- year members! 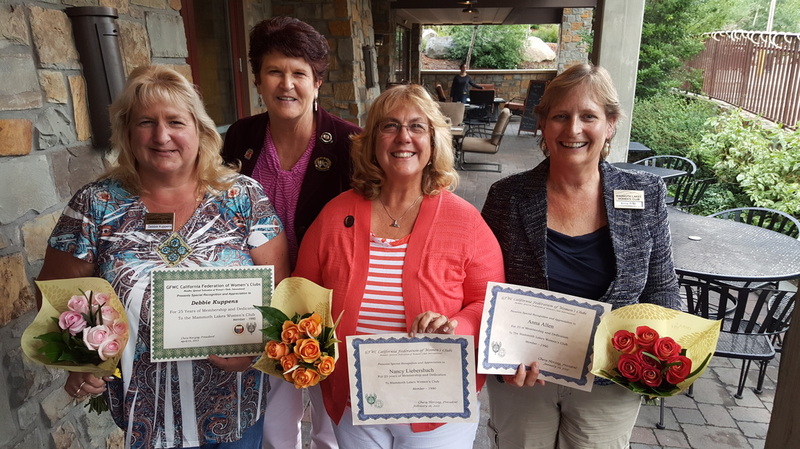 At our regular July 2015 meeting, we honored members who have been with the club for 25- and 30- years! Here is a picture of these loyal, giving, and fun-loving women along with special guest Dory Kelsey, CFWC 2nd Vice President. Thank you for your service!